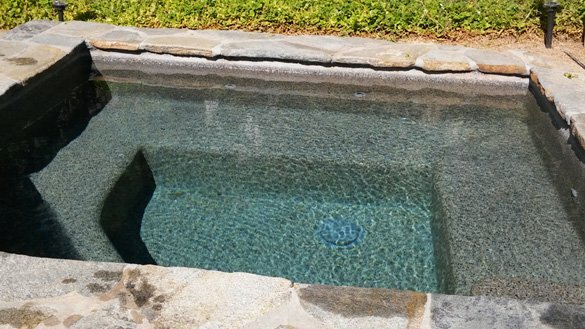 A San Diego homebuyer interested in an Encinitas 92024 home with a swimming pool and spa asked us to perform a pool inspection before the purchase. The swimming pool and spa have a pebble surfaces with natural stone coping. 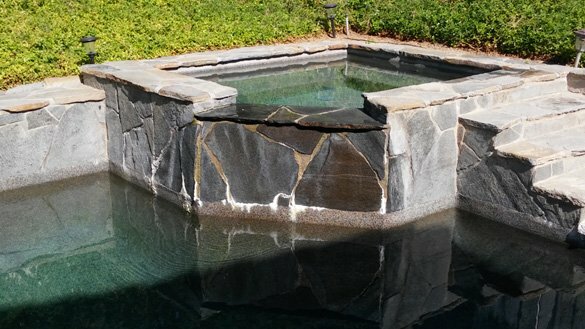 This quartzite flagstone coping is also on the spa spillover and raised bond beam. 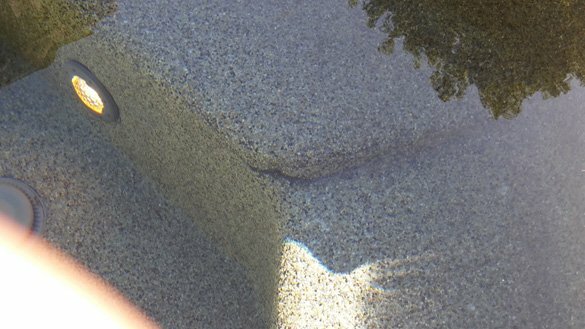 The pebble surface in the pool as well as the coping were in good condition. Separating the concrete pool deck and the pool coping is the expansion joint. A rubbery material filling the joint was in disrepair and we noted that it should be replaced to prevent possible deck and coping problems from occurring. On the spa spillover was a buildup of calcium which should be cleaned and inspected. While inspecting the spa we found structural cracks on the bench seat. The pool has a diving board which should be removed because of liability issues. As part of the pool inspection we also examined the pool equipment. The Pentair Whisperflo variable speed pump and Hayward Micro Clear 48 sq. ft. D.E. 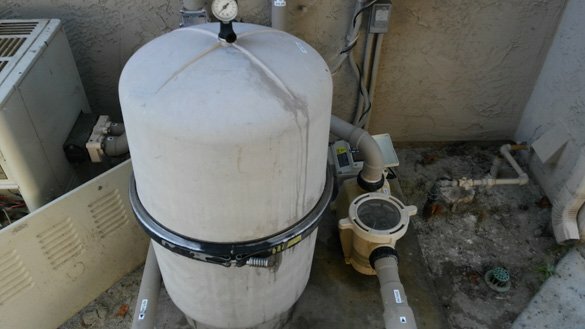 pool filter were both in good condition.The Pentair SolarTouch solar controls and actuators were also in good condition. We also checked the pool and spa lights and GFCI which were all working correctly. The only problem with the pool equipment was the aging Pentair MiniMax 400 pool heater which was not working. 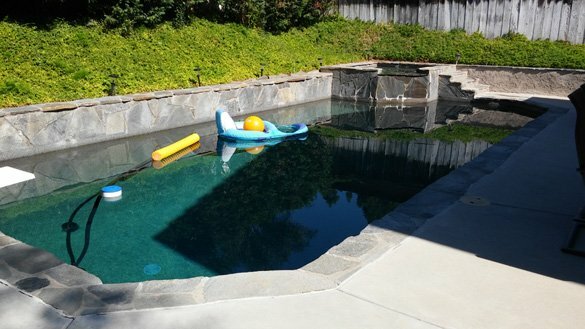 We recommended a heater service repair call to troubleshoot the pool heater. The final step of the pool inspection was checking the pool water chemistry. 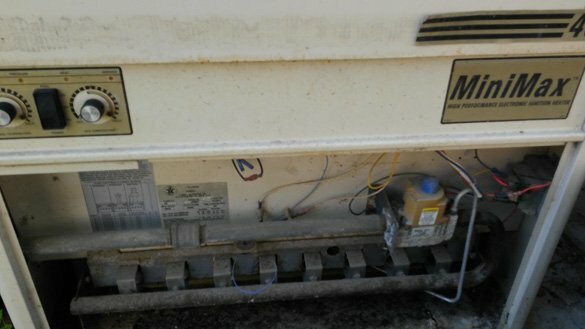 During this process we found high levels of conditioner and phosphates. A recommendation to drain and refill the water was put in the report.